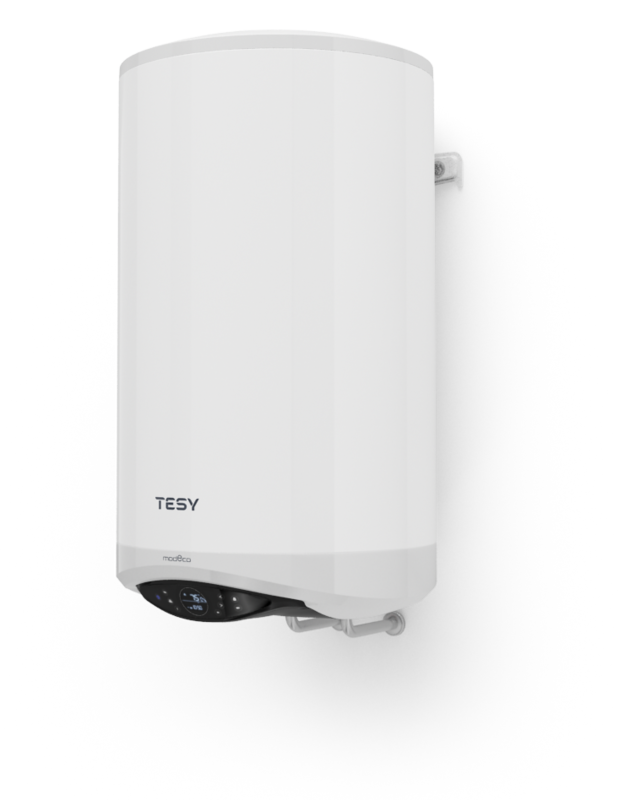 TESY Cloud is an innovative technology allowing you to operate your devices anywhere all over the world. It is incorporated in appliances with build-in Wi-Fi module, connected to your home wireless network. 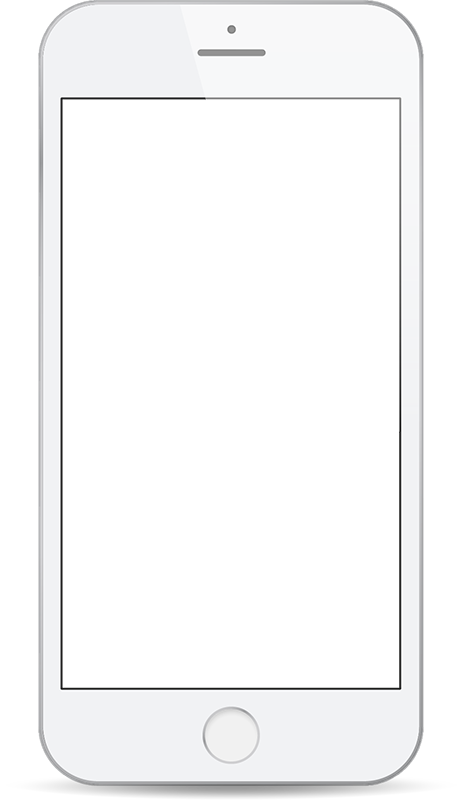 tesyCloud is a software mobile application available for any device with a web browser or smartphone/tablet on Android or iOS operating system. 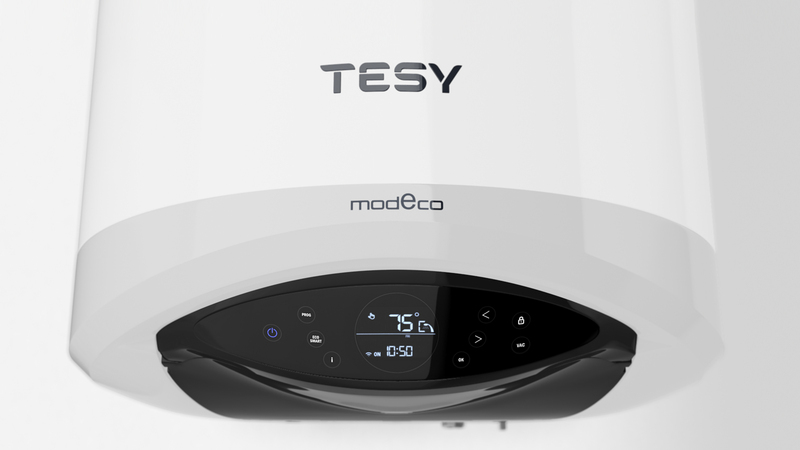 Self-training and self-management; ECO SMART mode for additional comfort and 15% less electric power for heating water. The software integrated into the electronic control, similarly to an artificial intelligence, independently tracks and memorizes the habits of users creating a time schedule and managing the appliance’s operation in such a way that would provide hot household water exactly when it’s needed. By pressing the PROG button, except for the Manual operation mode, you can choose one of the three pre-set weekly programme modes, respectively P1, P2 or P3. The programmes are factory-set, however you can make changes to them as you wish. If you plan to be away from home for more than a day, you can enable the Vacation mode, so that the electric water heater will “know” when you will be back to provide you with hot water. Using the embedded calculator for consumed power you can track the energy costs for a specific period of time. The Shower symbol tells you that you have enough hot water for the first shower. 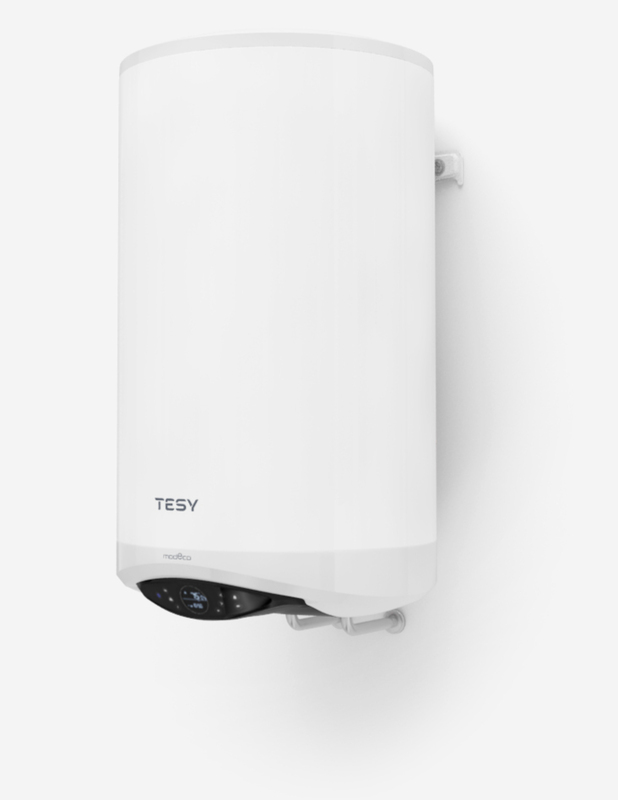 Energy class B is the highest possible grade for electric water heaters from 50 to 100 liters. The Modeco Cloud appliances of 80 and 100 liters are in energy class B.